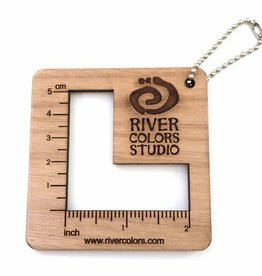 The Hannah's Ideas in Wood 3" Ruler Keychain is a handy way to measure up to 3.25" on the go. Each keychain is laser cut with precision, sanded by hand, and then oiled by hand with boiled linseed oil. 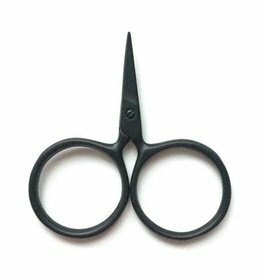 This is a great tool for quick gauge swatching or measuring small sections of fabric such as armband ribbing or a sock cuff. 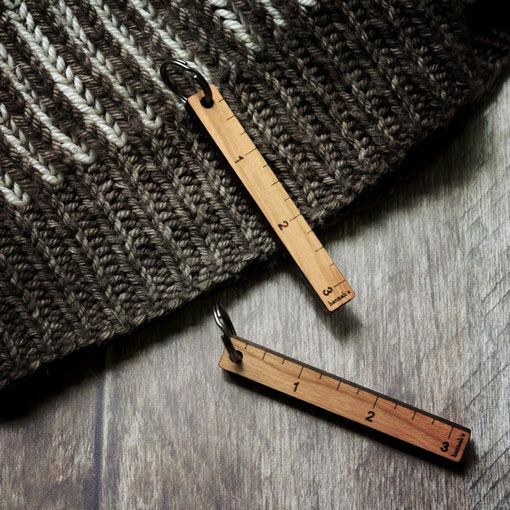 This custom Katrinkles Gauge Ruler Keychain was made especially for our 15th anniversary celebration. This ruler measures a 2" or 5 cm knit fabric swatch.